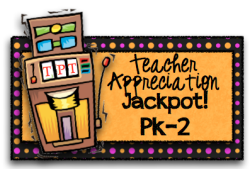 A - B - Seymour: Big News....Teacher Appreciation Jackpot!! Happy Teacher Appreciation Week! 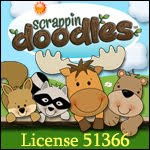 Look below to see my freebie!! Adrianne from The Tutor House, Laura from Corkboard Connections, and April from A Modern Teacher coordinated this wonderful event. Over 130 bloggers are going to be giving away 1 FREE item from their store just as a thank you for all that you do. You will be able to download all of these free items for just today only Sunday, May 6th. All of the free products will be valued between $3 and $8. There will be over $600 worth of items to be downloaded! There are three different 'jackpots' based on grade level. All of the bloggers involved in the free giveaway are listed below so you can easily click from blog to blog! TpT is also celebrating Teacher Appreciation Week by having a three day sale! Sunday, May 6 through Tuesday, May 8 you can get up to 28% off in many stores. My store will be on sale so make sure you check it out. I also have some freebies on there! Click here or on the button below to get to my store! Make sure you type in the code: TAD12 when you check out to get the full 28% off! This was my freebie!! It was regularly $4.00, but since it was my free item yesterday and you might have missed it, I'm putting it up for $3.00! You will still get 28% off until Wednesday, May 8! Just use the code TAD12 for the extra 10%! Hope you enjoyed all of your freebies yesterday! I'm your newest follower! stop by my blog if you get a chance! I think you have the cutest blog name! I am your newest follower.